Dr. Blume was once again recognized as one of the Top Podiatric Surgeons in Connecticut by Connecticut Magazine. We sent more than 5,000 questionnaires to Connecticut doctors, asking them to recommend a doctor (other than themselves) to whom they would send a loved one for expert medical care. In this year’s survey, the focus was on seven specialties: bariatric surgery, nephrology, neurosurgery, pediatrics, plastic and reconstructive surgery, pulmonary medicine and thoracic surgery. The top vote-getters in those categories made the Top Docs listings, along with all those doctors in other specialties who finished at the top of our surveys from the years 2012-2014. We’ve done our best to update all the doctors’ information along the way. The result is 825 doctors in 31 specialties, in all the result of more than 15,000 questionnaires sent out over a four-year period. With such a wide array of specialties covered, this issue of Connecticut Magazine makes a very good place to begin your search for medical help. 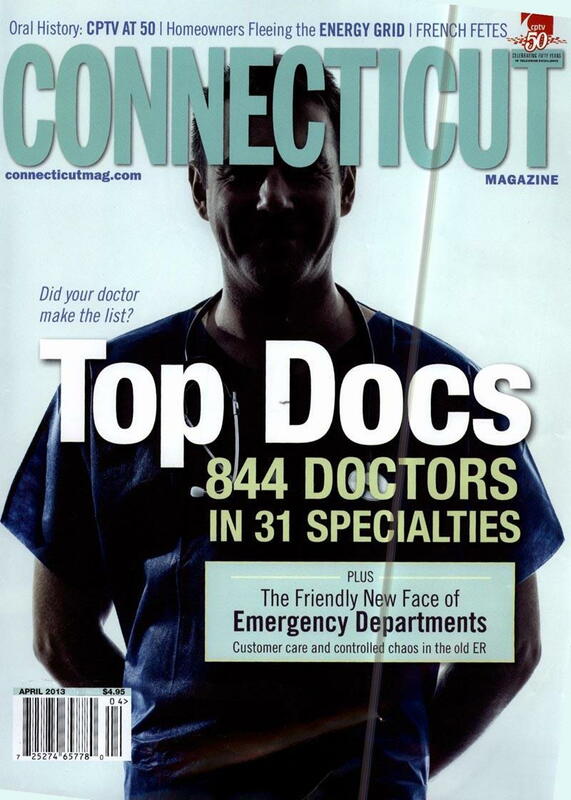 You can see Dr. Blume’s “Top Docs” listing or read more from the issue at Connecticut Magazine’s website. Affiliated Foot and Ankle Surgeons are foot and ankle surgeons in New Haven, Connecticut. They provide the best podiatric care to patients with foot and ankle problems. Dr. Peter Blume and Dr. Farlyn Charlot-Hicks are Connecticut's best foot and ankle surgeons. You can contact them at (203) 397-0624.